EmailOut is a free email marketing software that thinks outside of the inbox. Our blog is your go-to resource not only for all things email marketing but digital tips & ticks, business growth, SEO, copywriting, email tips, inspiration, case studies and expert wisdom – wrapped up in digestible bite-sized posts. So, what are you waiting for? Starting watching our blog and do something great with all that knowledge. A high-performing email list isn’t just about the numbers. In fact, for successful email list management, it’s vastly more important to nurture, manage and monitor your subscriber list carefully to make sure that everyone wants to be there and is 100% engaged with what you’re doing. Your brand is no doubt evolving and your subscriber base will, too. Recent sign-ups tend to be the most engaged, so keep that list fresh with people who are excited to have just discovered you. It’s not about pushing up the numbers, though. It’s about pushing up the number of people who love what you do. Make sure you’re constantly removing dead addresses to keep up your delivery rates and pay close attention to subscribers who stop opening your emails. How you handle the sign-up process will shape your whole relationship with a subscriber. Make it easy, personalised and highly engaging. Send a welcome email that guides them towards valuable or interesting content immediately. Consider surprising them with an extra discount or freebie that they weren’t expecting, just to say thank you. Little touches make a big difference here. Email frequency plays a major role in a person’s decision to unsubscribe. So does getting emails that don’t seem relevant to them. The best way to avoid this issue is to simply ask them what they want at the point of sign-up. This helps you to segment your list properly, improving engagement and click-throughs, while ensuring you’re communicating with each person in a way that works for them. Getting someone signed up is only the first step of a long journey. People lose interest over time. They stop opening your emails as often. You need to make a concerted effort with these subscribers to show that you still care about keeping their interest and attention, so make sure you craft email campaigns that target those who haven’t opened or clicked through for a while, checking in to see what more you can do, asking for feedback, or offering them a compelling new reason to re-engage. Oh, but if they want to leave, don’t make it difficult. It should be easy to unsubscribe. From rock-bottom engagement to potential legal action to blacklisting by major email providers, this is an absolutely terrible idea. Track the success of your campaigns and investigate closely to see which ones went down best with which subscribers and demographics. The more data you collect and analyse, the more you can hone your segmentation and targeting, putting your list to better and better use. It sounds obvious, but it’s vital that you never send out an email that you aren’t convinced offers real value to the recipient. When you’re under pressure to keep to a campaign’s schedule it can be tempting to cobble something together, but it’s often better to delay than risk disappointing your subscribers. They might not open the next one if you do. To avoid this, always plan out a detailed content calendar and corresponding email campaign, so you can be sure there will be no duds on the horizon. Remember that all of these email list management best practices are much easier when you have the right technology supporting you. Make sure that your email marketing platform is set up to help you test, tweak and monitor results as painlessly as possible. This article was originally published on 16 April by EmailOut and can be found here. Our digital marketing news roundup delivers the most essential updates and news straight to your inbox. In this digital marketing news roundup, we cover the reason merchants are dropping MailChimp, which ESP bought Shopify’s competitor LemonStand, a new feature for Gmail’s 15-year anniversary, Microsoft compromising user’s email accounts, leading UK banks failing on email fraud protection, the reason Facebook has been keeping users locked out and did the EU actually win one over Facebook, again. Also, did you hear about Google’s de-indexing issue? And what about Google Ads newest upgrade? In addition, should Amazon Web Services be scared of Google and its ‘new’ solution for retail? 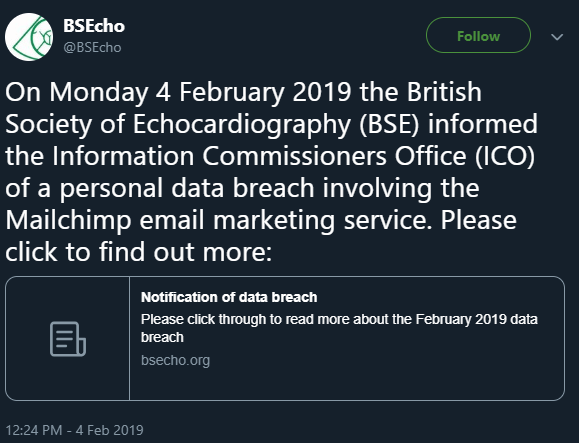 Email: merchants dropping MailChimp, Gmail’s new feature for Smart Compose and UK’s leading banks failing to implement vital email security protocols. Social Media: Facebook’s SMS 2FA failure and Instagram jacking a poor sap’s account and giving it to British royalty. Search Engines: Google dropping out pages from the Search Index and what new report was added to Google Search Console. PPC and Ads: an upgrade to Keyword Planner, a new extension for Bing Ads and Facebook’s new brand safety controls for advertisers. Other stuff: an ongoing DNS hijacking attack and what is Google Cloud for Retail. Last month, we’ve told you all about Shopify killing its integration with MailChimp due to data security concerns. However, as the news rolled out, many merchants forced to make a decision about email service providers (ESPs) are dropping MailChimp for different ESPs. We’ve also heard that even before Shopify and MailChimp parted ways, the latter quietly acqui-hired Shopify’s fellow competitor LemonStand. The whole drama seems deliberately initiated. Don’t you think? To learn more about what this acquisition-hire means for MailChimp click here. To celebrate Gmail’s 15-year anniversary, Google has added new Smart Compose features, email scheduling and languages to its free email service; which, as of October last year, had reached 1.5 billion users. If you are curious about what’s included in the Gmail update click here. Since Google is a bit of an overachiever, we’re not surprised they announced one more new Gmail Smart Compose capability. And just about a week after the 15th-anniversary update. Wondering what it is? Smart Compose will now begin suggesting subject lines based on the content of an email. Pretty handy, eh? More info about the Gmail Smart Compose personalisation can also be found here. Microsoft has confirmed to TechCrunch that a certain ‘limited’ number of people who use web email services managed by Microsoft – covering services like @msn.com and @hotmail.com – had their accounts compromised. A spokesperson at Microsoft said, “we addressed this scheme, which affected a limited subset of consumer accounts, by disabling the compromised credentials and blocking the perpetrators’ access.” The breach occurred between January 1 and March 28. Our best advice – regardless of being affected or not – would be to log in and change your password, now. Slack – a cloud-based team collaboration tool – is integrating Microsoft’s Office 365 services. Apps like OneDrive and Azure Active Directory have previously been available on Slack. Now, the messaging service will have even deeper integration with Microsoft including a new Outlook mail app and calendar, an updated OneDrive app, and the ability to preview Office file directly in Slack. The newly introduced Outlook mail integration will bring emails straight into Slack channels. In the past, users needed a third-party solution to enable this. No more. And, considering a similar function already exists for Gmail, it was about time Slack caught up. Also, according to our friends at The Verge, Slack’s Office 365 integration was created using public APIs and with no special help from Microsoft. You can read more details about the integration here. 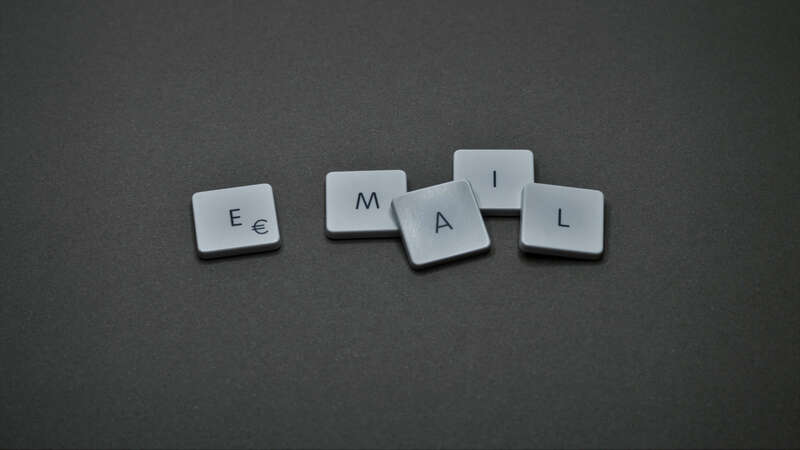 A study by cybersecurity firm Red Sift reveals that one-third of leading UK challenger banks have failed to implement a vital email protocol that protects consumers from email fraud. The study also shows that 8% of traditional banking institutions have neglected this defence system as well. In terms of email security, DMARC – domain-based message authentication, reporting and conformance – protocol is the only sure-fire way of preventing email spoofing. Red Sift believes that implementing DMARC is a strong indicator of an organisation’s willingness to adopt adequate cybersecurity measures to protect its customers. Although 67% of traditional banks have implemented DMARC and configured it to reject all spoof emails, the study found that 25% have implemented the government-endorsed tool but haven’t configured it for full protection. And whilst two-thirds of challenger banks have implemented DMARC, only 25% have configured it to reject all spoof email. More details can be found here. Facebook’s SMS 2FA authentication has been keeping a significant number of users locked out of their accounts. The problem? Users have not been receiving text messages from Facebook which they need in order to verify ownership of their account. One of the many users who’ve been locked out – for over 15 days – has been documenting the process and, also, the attempts he’s made to regain access to his account. Unfortunately, even his attempts to contact Facebook about the issue have gone unnoticed as he has not received any help. Additionally, a quick search for “Facebook SMS” on Twitter, will show there are more users having the same issue. Since Facebook didn’t respond to Joe Youngblood’s support query, he decided to raise awareness of the problem by creating the Twitter account @FacebookSMS2FA which contains a growing collection of retweets from users who’ve been locked out of their accounts. As Facebook’s executives are trying to rebrand the social media giant as a privacy company, it seems like the infamous social network is still, apparently, struggling to instil a privacy culture internally and with third-party developers. The Daily Beast reported that some new Facebook users are being asked to provide both their email address and their email password in order to register accounts. Naughty, naughty. Research from the cloud-security firm UpGuard reported that they had discovered two publicly accessible caches of Facebook user data created by third-party applications that connected to the Facebook platform. Amazon Web Service’s Simple Storage Service (S3) is hosting both caches in the AWS public cloud. The way Facebook user data has been used, or should we say misused (abused? ), by various groups had caused quite a few scandals. And, judging by the increasing amount of pressure coming from the European Commission, Facebook had no other choice but to agree to amend its terms and conditions. As well as provide a better outline on exactly how the company uses the user data. The new terms will make it very clear that “free access to Facebook services is contingent on users’ data being used to profile them to target with ads.” While this regulation is specifically focused on Europe – and complicity with European laws – Facebook said that the amended terms and conditions will be applied globally as part of the company’s broader efforts on transparency. Shouldn’t that have been the case all along? The BBC reported that Instagram jacked a poor sap’s handle and gave it to none other than British royalty. Kevin Keiley had used @sussexroyal for over three years. Why? Because he supports Reading FC – nicknamed the Royals – and lives in West Sussex. Unlike the many stories of accounts being stolen by malicious hackers, the bad actor, in this case, was Instagram itself. Notably, Instagram confirmed to the BBC that it snatched the account because it was inactive and thus ripe for the picking. Just what exactly does inactive mean? Could an infrequently used account suddenly become ‘inactive’ in the eyes of Instagram the moment a famous person wants it? Barry Schwartz reported Google’s been dropping pages out of the Search Index. According to him, there have been widespread reports from SEOs and webmasters complaining that their URLs and web pages are being removed from the Google Index. A lot of people are noticing a substantial percentage of their web sites are no longer coming up for a site command. Also, Google Search Console is not showing them as being indexed. A thread in WebmasterWorld has a ton of complaints regarding this issue as well as numerous threads in the official Google Search Console forums. The de-indexing issue has been covered by Search Engine Land and Search Engine Roundtable, too. Do you have an Android app associated with your website? Wondering why we’re asking. You’ll find out soon enough. Google announced they’ll be adding Android app filters to performance report in Google Search Console (GSC). What does it mean? Users will be able to see their app’s clicks, impressions, CTR, and position with a separate search appearance in the Performance report. You can satisfy your curiosity for more details here. Furthermore, we’ve also heard Google is adding a new report to GSC. It will track a site’s traffic and impressions from Discover. It’s important to note, GSC’s new Discover report is only shown to websites that have accumulated “meaningful visibility” – whatever that is – in Discover. Google released an update to GMB profiles which will show Product Catalogs in desktop and mobile search results. Businesses can add products to a catalog by uploading a form in the ‘Products’ tab. The name of the tool is Product Editor. You can read more about Product Editor and Product Catalogs here. Previously, product catalogs only appeared in mobile search results. However, now we can definitely confirm this hasn’t been a mobile-only feature. And, what makes the feature even more valuable to retailers is that it’s free to use. If you want to dig deeper and get more details about the new features click here. Bing Ads has taken the wrapper off a brand new extension – Action Extensions. It was released globally and it allows advertisers to highlight a clear call-to-action (CTA) on text ads in order to entice customers to immediately click and drive them to the user’s website. According to Bing, the advertisers who take part in the beta have seen an average click-through-rate (CTR) increase of 20% when they served Action Extensions in their ads. And the best part, the new extension is available on both PC and mobile devices. More information has also been provided by PPC Hero. Facebook introduced new brand safety controls for advertisers. The company’s Community Standards tell users how they detect and take down bad content from their platform. With the new brand safety controls, Facebook is also introducing an inventory filter which will make it easier for advertisers to control their brand safety profile across different forms of media. The filter will apply to ads delivered within Instant Articles, Audience Network and Facebook in-stream video. Full inventory: It selects minimum protection and ads may be delivered to all eligible content. For more information on Facebook’s brand safety efforts and the new inventory filter, you can visit their Help Center. In lieu of ECN ads, merchants on eBay are also encouraged to consider promoted listings, ads that appear at the top of search and product pages. And, also, other premium ad formats on the eBay marketplace. And, an alternative for publishers is the eBay Partner Network – an affiliate proposition in which content creators share links to eBay listings and get paid when they generate sales. A security researcher at Ixia informed Ars Technica about an ongoing domain name system (DNS) hijackings happening through vulnerabilities in four models of D-Link routers: D-Link DSL-2640B, D-Link DSL-2740R, D-Link DSL-2780B and D-Link DSL-526B. The attack targeted the following domains: Gmail.com, PayPal.com, Netflix.com, Uber.com, caix.gov.br, itau.com.br, bb.com.br, bancobrasil.com.br, sandander.com.br, pagseguro.uol.com.br, sandandernet.com.br, cetelem.com.br; and, possibly other sites. People trying to reach one of these domains from an infected router will be connected to a server that serves phishing pages over plain HTTP. For more details click here. How to protect yourself? Always make sure your routers are running the latest firmware. All four of the D-Link vulnerabilities were fixed years ago. However, many people just never got through the hassle of manually installing the patches. Google announced the launch of Google Cloud for Retail with a host of new, awesome solutions designed for the retailer vertical. The aim of the new solutions is to help retailers deliver personalised recommendations; unifying customer experiences across online and offline environments and more. What exactly does it offer? Google Cloud for Retail includes solutions for inventory management, personalisation, customer service and predictive analytics. E-commerce hosting is designed to flex with seasonal traffic increases and spikes on high-volume shopping days – like Black Friday or Cyber Monday – so sites don’t get incapacitated and start losing revenue due to traffic surges. Google also offers something called customer reliability engineering (CRE) services – a service that will prepare you for peak volume events. Lookout Amazon Web Services. Google Cloud for Retail’s analytics and AI solutions are coming to get you. You can read more about the full package of solutions offered at Google Cloud Next here. In the meantime, you can take a look at our email marketing blog for more digital marketing news, social media marketing, business growth tips and tricks plus, of course, all things email marketing. This article was originally posted on 15 April by EmailOut and can be found here. In this digital marketing news roundup, we cover a well-known e-commerce company cutting ties with MailChimp over data security concerns, AMP for Gmail, what is the one-click unsubscribe standard, Facebook’s failure to ensure security and privacy, Instagram and Twitter introducing new features, what’s new with GSC, new browser and search engine options for Android, welcoming Google Ads Editor v 1.0 and LinkedIn’s three new targeting features. Who’s urging people to delete Facebook and why? Email: Shopify killing its integration with MailChimp and which email clients support one-click unsubscribe. Social Media: Facebook storing hundreds of millions of passwords in plain text and Instagram’s new in-app checkout feature. Search Engines: Google Search Console (GSC) retiring another set of reports and a new search engine on the horizon. PPC and Ads: changes to Google Ads Editor and improvements to Bing Ads Editor. Other stuff: IFTTT dropping support for Gmail and WhatsApp’s founder urging people to delete Facebook. Shopify has killed its integration with MailChimp over concerns regarding data security. The company has asked Shopify to leave the integration in place for existing connected users through May 12, “when the data sharing provisions of Shopify’s new terms take effect.” However, it seems the two firms are going back and forth blaming each other. MailChimp states they’ve been trying for months to work with Shopify on terms that would be equitable for both businesses and refuse to agree to Shopify’s terms that could potentially jeopardise MailChimp’s user’s privacy. Shopify counters that “over the past 18 months they’ve had growing concerns about MailChimp’s app due to the poor merchant experience and MailChimp refusal to respect Shopify’s Partner Program Agreement.” It’s been a “she said, he said” battle over and over, but the only clear thing in this spat is that customer data is the key asset. Though, which company is trying more fiercely to protect it? Remember the multiple MailChimp breaches earlier this year? One year after Google announced it would begin supporting AMP (accelerated mobile pages) in Gmail, the company is now raising the stakes and releasing a beta to the general G Suite audience. AMP for Gmail is designed to make emails feel more like an interactive webpage without punting users to a browser. Users can now browse image carousels, RSVP to an event or fill out a form without leaving their inbox. Google calls these ‘dynamic emails’. Initially, support will be available only on the web, but the company has also stated it plans to offer it on mobile as well. You can read more on the topic here. Verizon Media announced that Yahoo! Mail, AOL and Verizon now support one-click unsubscribe, also known as RFC8058. The one-click unsubscribe standard was previously available only in AOL Mail, but it’s now supported by all email clients part of the Verizon Media brand umbrella. According to RFC8058, one-click unsubscribe is an integration of the link-based list-unsubscribe. Why another standard though? You can find out here. After all the scandals surrounding the social media giant, one might think they’ll lay low for a bit and try to avoid the spotlight. No such luck. According to Mashable, hundreds of millions of Facebook users’ passwords were stored in plain text completely searchable by 20,000 (!!!) Facebook employees for years. Some users had their passwords stored in plain text from 2012, according to a senior Facebook source who had a chat with KrebsOnSecurity. The anonymous source states that somewhere between 200 million and 600 million users were affected; and, more than 20,000 employees would have had access to said plain text passwords – 4m4zing. Moreover, shortly after KrebsOnSecurity published the story, Facebook published its own statement trying to cover its mistakes. Facebook’s VP of Engineering, Security and Privacy – Pedro Canahuati – stated that the company first discovered the issue during “a routine security review in January”. Eh, with all the data breaches and scandals, one might wonder why Facebook isn’t doing these routine security checks more often – 7 years to find a security flaw that may net the ICO 4% of FB’s global turnover. Instagram is rolling out an in-app checkout feature – for a limited number of brands – which will make it possible for users to purchase products without having to leave the app. The limited launch has been extended to 23 brands, but the company also mentioned it’ll be making the feature available to more brands over the coming months. With the launch of this feature, Instagram is closing the loop on its e-commerce ambitions in making shopping in-app more friendly and also making it possible for advertisers to dramatically shorten the user’s shopping journey. Jane Manchun Wong has discovered, or should we say uncovered, a feature Twitter’s been working on which will allow users to follow specific threads without having to engage with a conversation directly. Wondering what the feature is? It’s a ‘subscribe to conversation’ button. Twitter’s Comms Team was quick to get ahead of the news by confirming that the feature is part of their attempts to make Twitter more conversational. The feature is on its way, but no timeframe was given regarding the eventual launch. Do you remember, way back in February, when Twitter revoked access for a range of third-party tweet management programs? Well, it seems changes are afoot. The platform announced a new review of its API usage regulations, which could see another raft of Twitter tools lose functionality. To find out what’s going to change and, potentially, how much it might cost you click here. If you are one of the few people who used Google+, we’ve got some news for you. As we’ve been told, Google+ will be shut down in a matter of weeks. However, its archive of public posts may live on indefinitely. How? Internet Archive recently announced their plans to save public Google+ content at the Wayback Machine. Actually, the archiving has already begun. So, if you’re feeling sad to see Google+ go at least there’s a small consolation in knowing that most of its history will be saved. Presenting RSS and Atom feed sitemaps. Why does it matter? Google’s proving that it’s continuing to port old features from the old GSC to the new one. And, with this, SEOs, webmasters, developers and site owners will have more control over their XML Sitemap files. Also, it seems Google is retiring yet another set of reports from the old GSC. There was no mention of which reports specifically were about to be dropped; but, more information about the new Search Console can be found here. According to our friends at Mashable, Google announced that Android users in the EU will soon be offered a choice of browsers and alternative search engines on their devices. Is this a benevolent gesture though? We think not. The announcement in itself is unsurprising, given the fact the European Commission (EC) slapped Google with a record €4.34 billion fine in July 2018 for breaching EU antitrust rules by stifling browser and search engine competition in the EU. In a blog post, Google’s SVP of Global Affairs said the company will do “more to ensure that Android phone owners know about the wide choice of browser and search engines available to download to their phones.” Specifically, owners of both existing and new Android devices will be asked which browser and search apps they’d like (or want) to use. Ahrefs CEO Dmitry Gerasimenko announced the company’s plan of creating a search engine that supports content creators, protects users privacy and… competes with Google. Is this even possible? This announcement gives voices to many long-simmering complaints about Google. However, whether this search engine lifts off remains to be seen. No release date has been given as the scale of this project is huge. It’s almost the online equivalent of going to the Moon. If you are interested in learning more about it click here. After renaming and redesigning AdWords – know as Google Ads – the company decided it’s time to do the same with the Editor. The desktop tool for managing and drafting campaign changes now has a new look, new layout, new features, new capabilities and, also, a new name. Goodbye, AdWords Editor. Hello, Google Ads Editor. You can find out more about Google Ads Editor v 1.0 here. Direct import of campaigns to the Bing Ads server to save time so advertisers don’t have to review everything locally. These time-saving measure will make it easier for advertisers to get campaigns up, running and updated on Bing Ads. According to LinkedIn, one of the hardest parts of advertising is reaching the right people. Hence, the company is introducing three new ways to help advertisers easily target more of the right audiences from LinkedIn’s network of 610 million professionals. The three new updates are: 1) a lookalike audiences targeting feature; 2) interest targeting that leverages Bing search data; and 3) more than 20 B2B audience templates. The company states it’s been testing these new features over the last few months and that they’ll be available to all advertisers over the next few weeks. IFTTT (If This Then That), a popular automation service, is dropping some of its support for Gmail. Why? According to 9to5Google, certain third-party apps will no longer be able to connect to your email account for automation purposes. The decision comes as a response to security concerns and it’s purportedly aimed at protecting user data. End of support means that users will no longer have the ability to leverage IFTTT in Gmail to automatically manage calendars, auto-save attachments or create reminders. More specifically, IFTTT is removing all Gmail triggers and the ‘create a draft’ ability. Actions for ‘send an email’ and ‘send yourself an email’ will remain in place. Google has been hit with a new antitrust fine from the European Union totalling £1.28 billion. Why? EU Antitrust Commissioner Margrethe Vestager said that the tech giant has “abused its dominant position by forcing customers of its AdSense business to sign contracts stating they would not accept advertising from rival search engines.” This fine is the third major penalty the EU has levied against the tech giant in as many years and closes its last open probe of the firm. Different websites have also reported on this including Search Engine Land, Business Insider and The Verge. In 2014, Facebook acquired WhatsApp from Brian Acton for the small amount of $19 billion; and in 2017, Acton left over disagreements concerning Facebook’s way of running promotional ads. Since then, Acton has been openly expressing his dislike of Facebook following the Cambridge Analytics scandal and even reaching as far as promoting #deletefacebook. ‘Till this day, Acton stands firmly behind his decisions and opinions. Why are we so certain? Simple. He appeared as a speaker at a class at Stanford University where he shed light on his decision to sell, why he left and he didn’t neglect to criticise the drive to prioritise monetisation over user privacy. He even reached as far as urging students to delete Facebook. And this is also not the first time he’s done so. According to our friends at The Verge, he said the same thing last year after the Cambridge Analytica scandal. In the meantime, you can also take a look at our email marketing blog for more digital marketing news, social media marketing, business growth tips and tricks plus, of course, all things email marketing. This article was originally published on 3 April 2019 by EmailOut and can be found here. 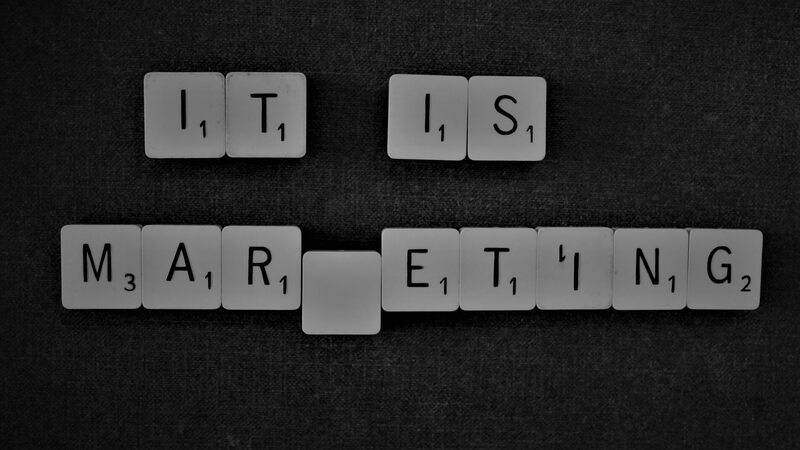 Digital marketing fads come and go, but one thing that doesn’t change is the value of inbound marketing. That means keeping on top of the best and latest ways to nail the SEO of every blog post. To get you started, let’s run through 21 simple SEO tips for blog posts you can use today to achieve exactly that! 1. Start with detailed keyword research to figure out what words longtail phrases your audience is searching for. 2. At the same time, don’t stuff your post with keywords. It needs to flow naturally and engagingly. 3. Include some of these keywords in your headings and subheadings. 4. Make sure your posts are at least 300 words, as Google tends to snub the super-short ones. 5. Do plenty of internal linking to other content on your site. 6. Include a brief, enticing introduction that makes it clear what readers can expect from the article. This makes them less likely to bounce straight off it when they open it. 7. For the same reason, short paragraphs, easy-to-read sentences and things like headers and images to break up the text keep people engaged and improve your SEO ranking in the long run. 8. Make sure there is only one H1 tag on the page. 9. Set up the rest of your headers so that they follow a clear H2 -> H3 hierarchy. This helps search engines to crawl the page (and real people to scan it for information). 10. When incorporating images and GIFs, use descriptive file names and alt text that reflects what these depict. 11. Hand-craft your URL to keep it short while reflecting what the post is about. 12. Don’t include the date the article was posted in your URL slug! 13. Include the main keyword in your meta title – but make sure it reads naturally! 14. Keep your meta title under 60 characters so that it displays properly on all devices. 15. Write an interesting (and accurate) meta description of 50-300 characters in length. 16. Don’t forget to organize posts with meaningful categories and tags. 17. Read and reply to all the comments you get on the post. 18. Check that your blog posts are mobile-friendly. If you’re not sure, use this tool: Google Mobile-Friendly Test. 19. Add new content to your site regularly. Don’t let it stagnate! 20. Freshen up great evergreen blog posts by updating the content and keywords. 21. Help to create the first flow of people to the blog post by sharing it on social media and getting it out to your email list! Last but by no means least, remember that the best way to win over search engines is to win over your readers first. That means producing amazing content and distributing it to people who will genuinely value it. Ah, if you want to be the best when it comes to SEO optimisation, why not take a look at our in-depth article about SEO tips for beginners. This article was originally posted on 26 March 2019 by EmailOut and can be found here. Our digital marketing news roundup will deliver the most essential updates and news straight to your inbox. In this digital marketing news roundup, we cover a huge service disruption at one of the biggest email providers, advice on how to protect your network from hijacking, a hosting and data security whitepaper, who lost 15 million users, which social media went kaput and a new social media publisher insights tool. Who has updated their search algorithm? – the biggest in years – oh, and let’s not forget about the approval of a new authentication standard you need to know about. Email: Gmail’s smart compose; what is BIMI and how to protect your business’ data. Social Media: why did Facebook file a lawsuit, Instagram’s new ad format and a new feature from Twitter. Search Engines: which feature from the old Google Search Console is about to be removed and Google’s biggest search algorithm update in years. PPC and Ads: Bing Ads Maximise Clicks and Facebook removing the Single Relevance Score. Other stuff: Chrome’s zero-day vulnerability and a new authentication standard. Gmail’s feature smart compose has been available on desktop since its announcement at Google’s I/O conference in May 2018. However, the availability of this feature on mobile devices was limited to Google Pixel 3 series, only. Well, that’s no longer the case. We’ve learnt, the feature has now been rolled out to all Android users. By default, the feature is auto-enabled; however, if you find it more annoying than helpful, you can simply turn it off in the Gmail settings. MediaPost reported a Gmail service disruption which began 11 March and was still going the next day. The service was most heavily disrupted in the Northeastern U.S. and Japan, with lesser outages in Georgia, the UK and parts of the Asia-Pacific region. And, by the look of it, Google Drive has also been affected to a degree. According to DownDetector, users are still having issues several days later. Email marketers have been searching for a way to have better visibility in front of their subscribers and get their messages opened since forever. Well, there might not be a solution but, there is a new standard – BIMI, or Brand Indicators for Message Identification – that can help brands stand out in the inbox. According to our friends at Litmus, the purpose of this new standard is to make it easier for marketers to get their logo displayed next to their message in the inbox. It’ll not only help with visibility, but BIMI is also designed to prevent fraudulent emailed and aide deliverability, too. BIMI is a new way of verifying information about your brand. Like DMARC, DKIM, and SPF – BIMI is a text record that lives on your servers. In fact, it works alongside SPF, DMARC and DKIM to signal email clients that you’re you. Sounds good, huh? A couple of months after publishing their article about network hijacking, Spamhaus has taken a proactive approach and followed up with an article on how to protect your network. Protect your assets: Yes, your IP addresses are your assets. Hence, you need to make sure they are protected in events such as companies being bought, sold or merged. Maintain up-to-date contact info with your Regional Internet Registry (RIR): This is important not only to enable the RIR to be able to get in touch for any day-to-day matters but, also to alert you should a third party attempts to tamper with your registration. Renew domains: Any domains used for email addresses of contacts within your registration must be renewed. Announce your IP ranges: Despite the fact, not all of your IP ranges are being actively used, make sure that you announce them. One of the most valuable resources a business has is data. Imagine what will happen if it gets into the wrong hands? The consequences will be extremely damaging. According to the Cyber Security Breach Survey 2018, 43% of businesses and 19% of charities experienced a cybersecurity breach or attack in 2018. After the implementation of GDPR and considering 2018 had been the biggest year, as of yet, for the number of refined cybersecurity breaches, it’s imperative – now more than ever – for businesses to secure their data. Most businesses might not know what to do or how to secure their data. However, even if that’s the case, they needn’t worry. Our friends at UKFast have published a Hosting and Data security whitepaper which will help businesses understand not only data security but their hosting options; the value of outsourced hosting; and, the role of hosting in data security. 13 March – Doomsday. Why? Facebook went down. The company stated only some of their apps were inaccessible and the issue was not related to a DDoS attack. What was the reason then? According to Facebook, it was all related to a server configuration change. Yeah, right? By the way, if it’s all been resolved, why are some people still having troubles accessing their accounts, huh? Facebook filed a lawsuit in US federal court against four companies and three people based in the People’s Republic of China. The reason? They were promoting the sale of fake accounts, likes and followers. To find out more about it and which other online services this was done to click here. 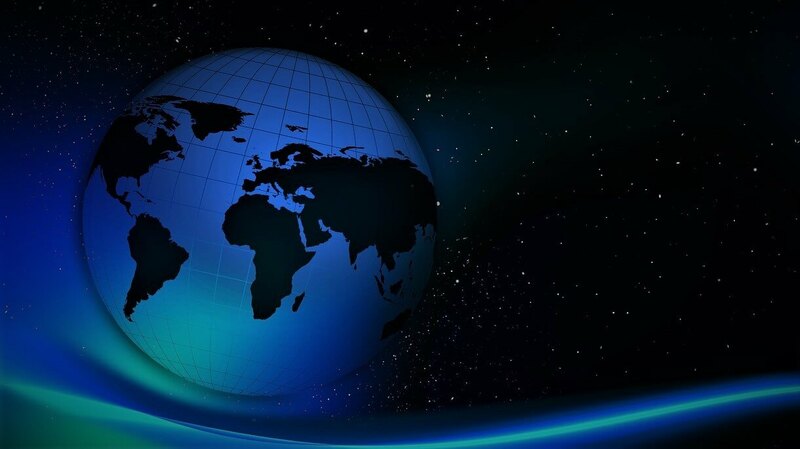 A new study by Edison Research – “The Infinite Dial 2019” – claims Facebook is bleeding users by the million in the U.S. According to the study, Facebook now has about 15 million users less in the U.S. than it did in 2017. Instagram announced that it’s working on a new ad format which will better enable brands and influencers to partner-up in a more financially beneficial and transparent way. According to AdAge, the new format is called branded content ad and it’s part of a larger strategy allowing brands and creators to build formal partnerships. At the moment, brands can sponsor popular Insta-users and the sponsored posts will appear with the tag “Paid partnership with [brand name]”. There’s a limitation on the current way – the posts only reach the followers of the influencers. The company is introducing a new way of showcasing local businesses with in-app profile pages and the ability to claim them and update profile details. Tech Exec, Raj Nijjer alerted SEJ about this new feature. Twitter has launched a new publisher insights tool called Timing Is Everything which uses historical data to highlight when users are most often watching and engaging with videos on the platform. The tool offers an aggregated look at when Twitter users are generally watching videos on the platform. It does not offer publisher-specific insights on when their own organic followers watch. The tool can be found within the Twitter Media Studio under the Analytics drop-down menu. Social media code hacker Jane Manchun Wong discovered Twitter is working on a new feature that will allow users to hide any reply – of their choosing – on their tweets, while also providing an option to view hidden replies. Facebook already has a similar ‘Hide comments’ option for Pages; however, Twitter’s variation – if they go ahead with it – will allow more transparency with view hidden replies. Shop a brand: a new dedicated section from retailers is starting to roll out underneath Product Pins. Personalised shopping recommendations: alongside style, home, etc. boards, users will see in-stock ideas related to what they’ve been saving. Catalogs: brands will be able to upload their full catalog and easily turn their products into dynamic Product Pins; meaning more shoppable Pins across the platform. Shopping ads: the company is making their Shopping ads available to all businesses through their self-serve tool Ads Manager. Shopping search: when searching for a product, shopping results will now appear at the top of the home feed. Danny Sullivan has confirmed a broad core algorithm update, a big one. Its name is Update Florida 2 and it’s said to be one of the biggest updates in years. More on the topic can be found on WebmasterWorld Forum here or Google Search Liason Twitter thread. A few months ago, we’ve mentioned Google will be deprecating some or all of the old Search Console features. One of the features set to be removed is Property sets. The reason? Low usability. We knew this was coming, but we didn’t have a specific date. Well, now we do. On March 28, Google will close Property sets; which has now officially been replaced by Google’s Domain properties. If you take a look at your old property set in the old Search Console, you’ll see the notification at the top of your dashboard. So, what should you do now? Easy. Make sure you’ve downloaded your data and set up the new Domain properties to replace them. You can see more comments and discussions here. Google announced it has changed the way offers show up in a Google local listings by giving offers a dedicated spot on the local panel. What does that mean? Well, offers will show up more prominently when the business is searched for, letting users quickly discover what promotions are currently running. How does it work? Easy. Log in to your Google My Business account and go to the Posts section. Once you’ve created the new post, you have to choose the post category – event, offer or product – and then just publish it. Businesses can surface up to 10 unique offers; they will be displayed as a carousel. Oh, boy, do we have some news, DDG is now an option that users can select as their default search provider in Google Chrome. With the release of Chrome 73, DDG has been added to the list of default search engine choices in over 60 markets. Not that we’re surprised though. After all, the search engine hit a company record of 1 billion searches per month this past January. Google Ads API finally graduated from beta and the production-ready v1 is now available and ready to use. Why should you care? Well, considering v0 is sunsetting on 30 April, users are advised to update their client libraries to use the v1 endpoint simply because beta version API requests will fail after April cut-over date. If you want to know more about it click here. Google is rolling out a new Budget Planner tool to help advertisers analyse their current Google Ads campaigns budgets. The way it works is that you can create a budget plan based on either clicks or conversions as a key metric. The tools won’t exactly tell you how much budget you’d start off with, but, it will certainly provide some directional insight. Want to know more and actually see what we’re talking about? Just click here. Bing Ads rolled out their automated bidding strategy – Maximize Clicks – to all accounts worldwide. It’s pretty easy to use as it’s, well, automated. However, it’s important to note that if you’re using a third-party bid management solution, you’ll likely not be able to use Maximize Clicks. You can read more on the matter here. Facebook’s Single Relevance Score, which was initially launched in 2015, will be retiring pretty soon. According to the company, it’ll be replaced with three new relevance metrics. The reason? A more granular ad relevance diagnostic measures which will help improve performance as well as offer more actionable business insights. Also, the removal of the previous relevance score metrics will begin on 30 April. If you want to know more about the new metrics, you can find more information here. Do you want to gain a better understanding of your audience and who is actually buying your stuff on Amazon? We bet you do; and, with the company launching four new metrics for brands advertising, you will. Why this is so great though? Simple, it’ll help advertisers learn how much it costs to reach new users with their campaigns and products. In order to see a breakdown of the new metrics and get some ideas on how they can influence your advertising strategy click here. The Verge reported that the World Wide Web Consortium (W3C) approved WebAuthn; a new authentication standard aimed to replace the password as a way of securing your online accounts. Web Authn was first announced last year and is already supported by most browsers, including Chrome, Firefox, Edge and Safari. Now that the standard has been approved, the next step for websites is to integrate it. After calling for applicants to try out the beta testing app back in January, Twitter has finally released its new “Twttr” test app. In short, it includes a completely new layout for tweet replies; and, of course, that immediately triggered mixed responses from users. Most testers seemed pretty positive about the change; whilst others are criticising the ‘chunky blocks’. If you want to stay up to date on this, just search for the #LetsHaveAConvo tag. Google revealed that a patch for its Chrome web browser was actually a fix for a zero-day that was under multiple active attacks. According to ZDNet, the attacks exploited CVE-2019-5786, a security flaw and the only patch included in the Chrome 72.0.3626.121 version, released at the beginning of March. Google described the error as a memory management error in Google Chrome’s FileReader – a web API included in all major browsers that lets web apps read the contents of files stored on the user’s computer. As a result, Chrome users are advised to use the browser’s built-in update tool – if they haven’t already – in order to trigger an update to 72.0.3626.121 version. In the meantime, you can take a look at our digital marketing blog for more digital marketing news, social media marketing, business growth tips and tricks plus, of course, all things email marketing. The article was originally published on 15 March 2019 by EmailOut and can be found here. Maybe she’s born with it… or maybe it’s the product of hard work, a great business model and formidable resilience. Here are some of the most pervasive startup myths and flat out lies you’ll hear again and again about launching a successful startup – and why they’re so far off the mark. Read on to find out the top startup myths you can definitely afford to ignore. Ever seen someone make a fortune out of an amazing idea you could have sworn you dreamed up ages ago and thought, “Damn, they beat me to it”? Well, before you get too carried away, the likelihood is that plenty of other people thought of something similar, too. They just didn’t get there first. Obviously, a great idea is pretty high up the list of important factors in getting a winning startup off the ground. It’s far from the only factor, though. You can’t just think of a cool concept – you have to do the hard graft in making it a reality, developing a rock-solid business plan, marketing it right… you know, all the difficult bits. This is one of the most annoying startup myths out there about launching a successful startup. Sure, some people might find certain elements of running a business or pitching an idea easier than others, but no one wakes up in the morning to find that they’re a fully-fledged business genius. Successful entrepreneurship takes effort, sustained hard work and a continual willingness (and desire) to learn, adapt and improve. A lot of people assume that you can’t launch a startup without a massive stack of cash or willing investors lining up to fund your company. Money helps, of course it does. Money makes it easier to grow faster. Being in a position where you don’t have to take any money out to pay yourself for the first year is great. But if these options aren’t available, that’s no excuse not to launch. The average startup gets going with $25,000. Plenty of people start a successful business in a spare bedroom with no resources and no money at all. Aargh! This is one of those misconceptions that cause serious damage. You do not have to imperil your business and your investment to prove somehow that you have the “guts” to pursue great things. The best founders make a carefully considered, well-informed call over whether a particular gambit makes sense and whether it fits their risk appetite. They don’t just gamble for the hell of it. Along the same lines, there is no “right” personality type to run a company. In fact, you don’t need to be aggressive and domineering to feel you’re showing the right amount of confidence to lead. In fact, this is almost certainly counterproductive. Arrogance means you’re not listening – which means you probably aren’t listening to reasoned criticism either. You want to have a clear vision and courage in your convictions, but refusal to engage with other perspectives is a recipe for disaster. When you’re first starting out, every client feels like a big win – and it is. 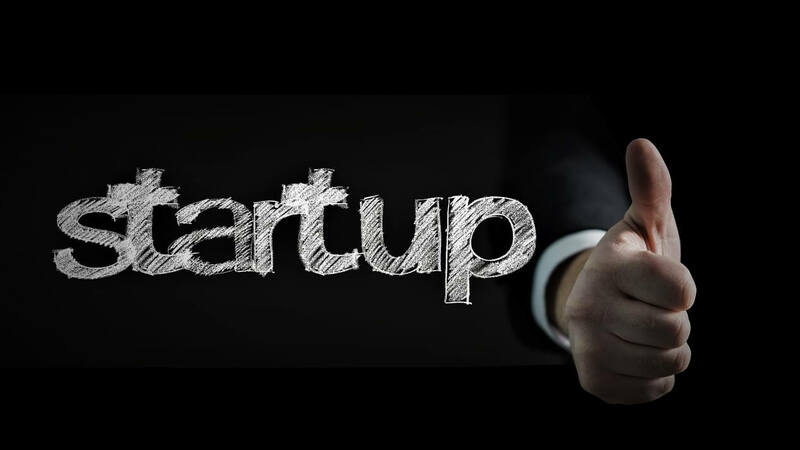 But one or two major clients is not enough to declare your startup a resounding success, at least not yet. What happens if you lose them? A useful rule of thumb is that no one client should represent more than 20% of your business. Until you’ve brought in enough clients or work to establish that ratio, you can’t afford to rest on your laurels. Every entrepreneur wants to make money, but the most effective ones rarely focus on making a quick buck for themselves. Instead, they’re obsessed with growing their business, making it awesome, reinvesting profits into doing bigger and better things. If anything, for your startup to be a true success, you need to be prepared to pay yourself last! There is no secret formula to making your business take off. Ambition is important, but expecting too much too soon can hamstring you. Be patient, be persistent, and be prepared to work hard. Now that you know which are the top startup myths and why they’re so far off their mark, why not take a look at our article on how to deliver a pitch investors can’t turn down. The original article was posted on 13 March 2019 by EmailOut and can be found here. We don’t need to tell you that deliverability is crucial in any email marketing campaign. You know that – and you certainly don’t want your emails to bounce. What you might be less sure about is precisely why they are bouncing and what that means. To help you figure it out, let’s take a look at two important terms – hard vs soft bounces. What do we mean by hard vs soft bounces? Why it’s important to know the difference between hard vs soft bounces? What to do with your bounce data? Emails “bounce” when they can’t be delivered. If it’s a hard bounce, that means they permanently can’t be delivered. There are a whole bunch of reasons behind this. For example, it could have been a work email address that no longer exists because the person has moved on. It could have been a fake email address. Or, it could simply be that there’s a spelling mistake somewhere in it. The point is, that email is never going to work, no matter how many times you try it. What to Do About Hard Bounces? Since there’s nothing you can do to make this email address work, you might as well take it off your list. Scratch that – you need to take it off your list before it starts impacting on your trust ratings or skewing your campaign performance data. An email that “soft” bounces also can’t be delivered – but it’s only a temporary issue. The email address exists, so the problem is elsewhere. Either it’s an issue with the inbox, which may be too full or having technical problems. Or there’s an issue with the email itself – it’s too large, for example. What to Do About Soft Bounces? The good news is that many email providers don’t give up at the first hurdle. They’ll keep trying to deliver your email over the next couple of days. You don’t necessarily need to do anything. That said, it’s well worth keeping a close eye on these email addresses. If they consistently soft bounce, it may be worth removing them anyway. The email account may not be in constant use, in which case your email is unlikely to be opened anyway. What’s the point in emailing someone who won’t see, open or derive any value from your email anyway? Tracking your bounce rates isn’t just about deciding whether or not to remove an email from your list. It also gives you important clues as to whether you’re making self-defeating mistakes during your sign-up and list-building activities. For example, if you’re getting a lot of hard bounces, take a good hard look at these to figure out whether they’ve simply expired, whether they’re fake, or whether there might be a typo in there somewhere. For example, fake emails show that people don’t want to receive marketing emails from you. Either you didn’t convince them that this would be valuable to them or you got their email addresses through sneaky means (like buying them)… which you should never do! If you have tons of emails with mistakes in, what’s going wrong in your sign-up or data entry process? Is the form fiddly, difficult to use or displaying weirdly? Are you taking email addresses by hand and manually entering them into the system later? A few simple tweaks could make a big difference! Remember that, ideally, you should keep your overall bounce rate under 2%. Pruning lists, analyzing why email addresses fail and second-guessing what’s underpinning a high bounce rate will take up far more of your time than adopting sensible approaches in the first place. It all comes down to one thing: making sure that everyone on your list wants to be there in the first place! The original article was posted on 6 March 2019 by EmailOut and can be found here. In this digital marketing news roundup, we’ll cover MailChimp’s data breach; Symantec’s new offering to reduce the risk of BEC attacks; a new phishing attack which bypasses Microsoft Office 365 malicious file filters; a replica of Facebook’s single sign-on login screen which snaps users’ passwords; GSC’s alerts for traffic drops and big ranking; a trick web developers are exploiting to detect if users are visiting websites in Chrome’s Incognito Mode; Google opening up .dev domain name registry to everyone; a popular WordPress plugin that leaked access tokens capable of hijacking Twitter accounts; and, a 14-year-old vulnerability in WinRar. Email: MailChimp’s data breach and, a free guide to protecting O365 emails. 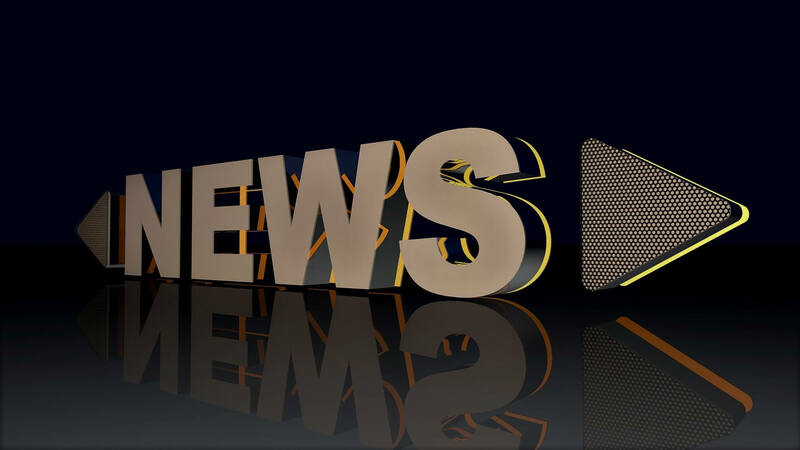 Social Media: Facebook’s new security feature and YouTube’s update on “strikes”. Search Engines and SEO: Google’s white-paper on “fake news”. PPC and Advertising: New features for responsive display ads. Other stuff we found interesting: Hijacked Twitter accounts and a 14-year-old vulnerability in WinRar. Earlier this month we reported that MailChimp’s Mandrill app went bang and now, just a few weeks later, online retailer Master of Malt has been spotted warning some of its customers of a potential breach to their MailChimp account. The managing director Tim McGuinness reassured “no other personal data of any sort has been compromised”; as if, gaining access to customers’ names and email addresses is a small breach. Nonetheless, McGuinness confirmed the company suspended its access to MailChimp as soon as it noticed the potential breach. Later on, based on the retailer’s discoveries, it was established that two types of spam have been sent; one posing as emails from MailChimp requesting billing details to be updated, and another purporting to be from the UK government regarding tax refunds. At the beginning of February, the ICO was informed of yet another personal data breach involving MailChimp. As far as warnings go, customers have been advised not to click on any links in the emails they’ve received; but, we think – with so many breaches and issues – it might be time for MailChimp users to consider an alternative email marketing company, one that offers better value too. Wouldn’t you agree? Symantec – a cybersecurity software company – is looking into reducing the risk of business email compromise (BEC) attacks with a new offering – Email Fraud Protection; the offering will make it easier to implement and manage Domain-based Message Authentication, Reporting and Conformance (DMARC) for email authenticity. If you are using Symantec products you should know the new offering works together with other services already available in the product portfolio. If you are not, maybe you should start. Cybersecurity firm – Avanan – have identified a new phishing attack which is able to bypass Microsoft Office 365 malicious file filters. The attack, dubbed NoRelationship, uses a link parsing weakness in email scanning products to hide malicious links. NoRelationship is able to bypass Microsoft’s Exchange Online Protection (EOP) URL filters, which scan Office documents including .docx, .xlsx and .pptx to warn users when malicious content is detected. The phishing attack includes a .docx attachment containing a malicious link; the link leads to credential harvesting login pages. This, once more, proves we should be careful when clicking on links or downloading files. After all, this is a very common technique used by scammers. Furthermore, as more businesses adopt Microsoft Office 365 cloud-based subscription service the more it turns the service into a profitable prey for persistent hackers; especially those familiar with how O365 works. Hence, TitanHQ decided to take proactive steps and help businesses “hack-proof” their Office 365 environments. How? By publishing a free 2019 Guide to Protecting Office 365 Email from Malicious Malware Attacks. A few of the things the guide examines are targeted attacks on O365; how to strengthen your O365 security against Spam and Malware; advanced phishing protection; O365 offered email protection; data leak prevention; and, increasing profit margins for MSPs. It’s been a tough time for Facebook; especially after UK lawmakers compared Mark Zuckerberg and other execs to “digital gangsters”. Conveniently, days after the Digital, Culture, Media and Sport Committee damning report dropped, Facebook released a new security feature. Now, Android users will have more granular control over location data collection. Apple already offers iPhone users three options to choose from; refusing to share location info, always sharing it and only sharing it when the app is in use. However, Android sadly doesn’t give its users those options. They’re either sharing all of the time or not sharing at all. Well, now they don’t have to worry, do they? Moreover, as if Facebook hasn’t suffered enough drama, it seems phishers are deploying what appears to be a clever new trick to snap people’s Facebook password. How? By presenting convincing replicas of single sign-on login windows on malicious sites. The forgery is so convincing it can dupe even the most vigilant of users. Our advice, always use multi-factor authentication. It might make you look paranoid but better safe than sorry, right? YouTube is updating the way they give strikes to users who violate their Community Guidelines. Strikes could result in penalties or even removal of accounts. But first, YouTube will give users a one-time warning before handing out further strikes. There’s no penalty involved with receiving a warning; aside from the content which triggered the warning being removed. It seems like Google is now sending alerts and notifications from Google Search Console (GSC) when it detects big ranking and traffic drops. It appears Google is comparing your site clicks and query clicks as reported in the GSC’s performance report. If it notices huge fluctuation, Google may send the notification to those that have verified access to that property in Search Console. Why should you care? Simple. These alerts and notifications help you find issues – sooner rather than later – and address them before they significantly impact your business. Seems like a pretty good reason to care, right? Google is about to close a loophole which many companies used to track how people were browsing their website in Chrome. According to 9to5Google, the company is aware of a trick web developers have been exploiting that enables them to detect if a user is visiting a website in Chrome’s Incognito mode. The loophole, allows websites to block visitors from accessing the site’s content, forcing them to switch out of Incognito mode if they want to view the page. By the looks of it, the workaround seems fairly simple. Chrome disables the File System API – which stores application files – when Incognito mode is being used. So, websites looking to block private browsing in Chrome can simply check for this API when a browser loads the page. According to The Verge, the company is set to close this loophole via an opt-in feature with Chrome 74; expected to arrive in April. We’ve all heard about “fake news”, right? Nevertheless, everyone has a different perspective on what is considered disinformation or “fake news”. Moreover, providing useful and trusted information at the scale that the Internet has reached is enormously complex and an important responsibility. Hence, Google decided to publish a 30-page white paper which gives more details on how the company will tackle the international spread of disinformation across Google Search, Google News, YouTube and their advertising systems. Oh boy, do we have some exciting news for you. We heard Google is rolling out three new features for responsive display ads which are designed to improve functionality and reporting capabilities. Wondering what those features are? No need. We’re here to tell you. First comes the video assets which allow advertisers to expand their reach to new inventory and improve performance with sight, sound and motion all while scaling ad creation, testing and optimisation. Secondly, we have the combinations report which provides insight into the performance of different creative asset combinations. This new report shows the top performing asset combinations that are being generated in your responsive display ads. Also, there are separate sections dedicated to combinations based on images, text, dynamic feeds and videos. Thirdly, Google introduces the new ad strength scorecard which will help advertisers measure how well their responsive display ads are set up before they go live. Google Ads will check for the optimal number of unique headlines, images and descriptions. Furthermore, Google is upgrading call-only ads adding the option to add up to two 30-character headlines and more text in the description. Last, but certainly not least, Google Ads has changed the way it calculates mobile speed score on the Landing Pages tab. After all, slow mobile pages can slow down your business and, according to Google, 53% of visits to a mobile site are abandoned if it takes more than three seconds to load. Hence, the company updated the mobile speed score algorithm to require fewer ad clicks in order to calculate a score. Have you ever tried to register your chosen/preferred domain name, only to find out it’s not available? For the first time ever, Google Registry is letting anyone register a domain using the .dev extension, a brand new top-level domain (TLD) dedicated to developers and technology. Google has owned the .dev gTLD since 2015 and when they acquired it, it was intended to be private and reserved for Google’s use only. A popular WordPress plugin – installed on thousands of websites to help users share content on social media platforms – left linked Twitter accounts exposed to compromise. The plugin, Social Network Tabs, was storing account access tokens in the source code of the WordPress website. Hence, anyone who viewed the source code could see the linked Twitter handle and the access token. According to TechCrunch, among the vulnerable accounts, there were a couple of verified Twitter users, several accounts with tens of thousands of followers, a Florida sheriff’s office, a casino in Oklahoma and more. So, if you’re using the plugin, our advice is – remove it immediately, change your Twitter password and ensure that the app is removed from Twitter’s connected apps to invalidate the token. If you’re one of the 500 million WinRAR users, we’ve got some disturbing news for you. It appears that the Windows file compression program has just recently fixed more than a 14-year-old code-execution bug which made it possible for attackers to execute malicious code when targets opened a booby-trapped file. According to ArsTechnica, the vulnerability was the result of an absolute path traversal flaw that resided in UNACEV2.DLL; a third-party code library that hasn’t been updated since 2005. The original article was posted on 4 March 2019 by EmailOut and can be found here. You only get one chance to make a first impression, and potential investors have to be some of the trickiest people in the world to impress! That said, the difference between sounding like a savvy pro and a nervous rookie is sometimes just a few simple techniques. In this article, we’ll look at 26 quick knockout pitching techniques for startups that will help you break through investors’ cynicism and show that you mean business. 1. Keep it under 10 minutes. Don’t give them time to get bored! 2. Leave plenty of time for questions. 3. Also, try to anticipate what questions they’ll ask and prepare convincing answers. It helps to practise delivering your pitch to someone you trust and getting them to ask the questions that spring to mind! 4. Don’t stay on any one slide for more than 3 minutes. 5. Don’t put too much information in each slide. You want them to be listening to you, not distracted with extra info on the screen. 6. Use clear, precise, everyday language – never jargon or overly technical terminology. 7. It’s a good idea to have a script, but if you do, make sure it’s written for the ear, not for the eye. That means accessible wording and short, punchy sentences. 8. Incorporate a brief product demo or video to bring what you’re selling to life. 9. Focus on telling a story – the story behind the brand, what your product does for users, or both. 10. Don’t waste time stating the obvious. You have 10 minutes, so use it to tell them what they don’t know, not what they do. 11. Explain exactly what your product/service does, using action words. Don’t just describe it. 12. Explain why your product/service is unique. 13. Talk about market gaps and explain what you do that your competitors don’t – but be respectful and professional. 14. Be very clear about who your target market is. 15. Walk them through how you will reach and acquire customers. 16. Wow them with a deeply-considered plan for targeted online marketing. 17. Outline your revenue model (and why you’re using it). 18. Talk about your exit strategy – and set this at five years or so. That shows that you believe you can make good money in that time. 19. Focus on the value your product brings to customers and how this gives you an edge. 20. Don’t make wild promises, but give investors a clear idea of how soon they can expect to see a return on investment. 21. Rehearse, rehearse, rehearse! You need the pitch to be slick. Be confident with your material and ensure it’s paced correctly and sounds right out loud. 22. Show your passion. If you’re not incredibly enthusiastic about this, you can hardly expect them to be. 23. Smile and make eye contact. A confident demeanour will go a long way. 24. Dress impeccably. If in doubt, go suited and booted! 25. If you get nervous before your pitch, run your wrists under cold water to cool down quickly, breathing slow (four breaths per minute) to reduce your heart rate. 26. Get your pitch tied down several days in advance to give you plenty of time to practice – and to get a good night’s sleep before pitch day. Remember that people buy from people. You need these investors to have faith in you as a person as much as your company, so when using pitching techniques for startups ensure you’ll highlight your reliability, expertise, experience and your commitment. They need to believe that you are the right person to drive this venture if they’re going to trust you with their money! Ah, once you’ve convinced the investors – and your startup is taking off – it’s important to maintain startup momentum. In order to do so, we’ve got a few tips which will be extremely useful. Also, don’t forget that one of the many reasons startups fail is because of financial shortcomings. 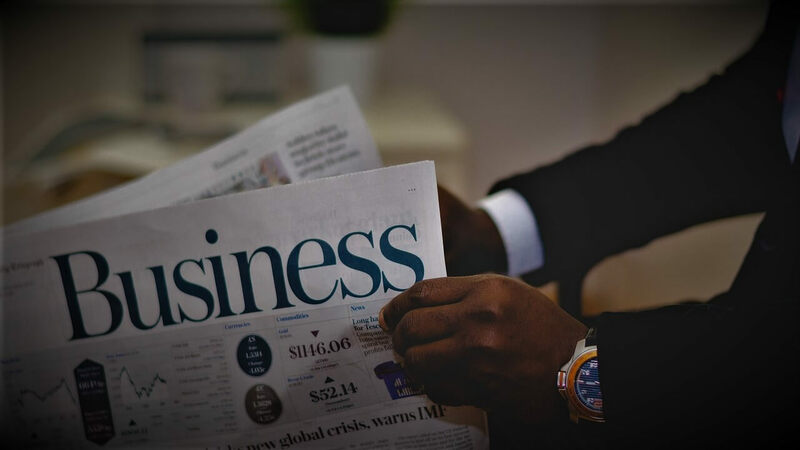 So, in order to prevent such faith befalling your startup, take a look at our article on finance tips for startups. The original article was posted on 28 February 2019 by EmailOut and can be found here. There’s nothing more frustrating than slaving over your email list, impeccably planning a content calendar, creating amazing content, agonizing over what goes into your emails… only to have them bounce back or head straight to spam. So, how can you make sure your emails get delivered? 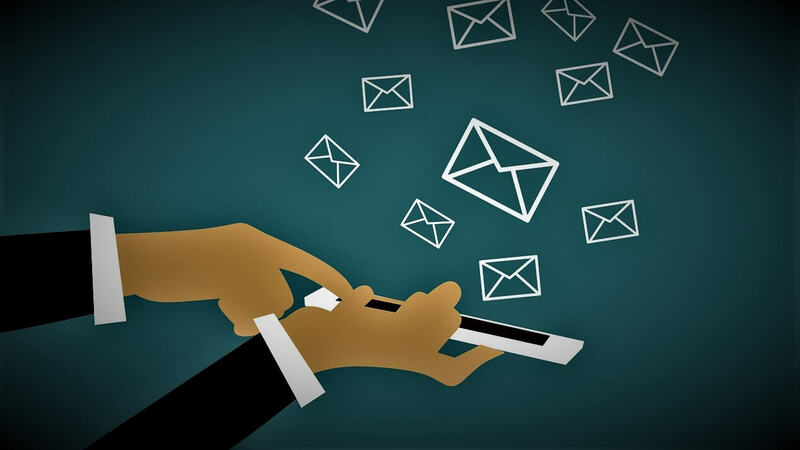 Well, we’ll run you through some tried-and-tested strategies that will help you improve email deliverability rates, today! Do you have unengaged readers on your list? They might help inflate the numbers, but they’re doing no one any good. Scrub your list regularly to make sure you aren’t damaging deliverability and, at the same time, by doing this you’ll also improve email deliverability rates! It’s a bit fiddly, but it’s well worth your time to authenticate your email domain by enabling Sender Policy Framework (SPF) and Domain Keys Identified Email (DKIM). These build trust that you are who you are and make it much harder to spoof your email address, which could be causing you problems without you knowing about it. Some words or use of punctuation in your subject lines just get spam-detectors spidey-senses tingling. $-signs are one. Cries of “FREE! !”, claims that something is “risk-free” and references to debt, credit, quotes and winning competitions are all major offenders. Others you might not expect. Words as innocuous as bargain, amazing, buy, problem and open can all cause trouble, purely because spam filter algorithms see them crop up a lot in dodgy emails. Pay very close attention to emails that don’t get delivered. The clue is probably in the name. If you don’t feel the inspiration juices flowing yet, take a look at our 27 ideas for irresistible subject lines here. These ideas will ensure you will improve email deliverability and get you another step closer to better deliverability rates. Make sure that people genuinely want to be on your email list. Don’t try to trick people into handing over their details. Ensure they understand what you’re planning to send them. A double opt-in process, where they get an email confirmation to click, ensures that it really was them that signed up – which sound like a strange concern, but if you’re lazy about it, your competitors could feed you spam trap emails (more on that in a moment!) and then you’re really in trouble! Don’t try to stop people from reducing the number of emails they receive or from unsubscribing altogether. In fact, make this easy for them by setting up a preferences page with a link from your emails, so that they can change their interests or email frequency, or cancel if they so please. Much better than having them move your emails to junk! 6. Never Buy Email Addresses! For the love of all that is holy, don’t fall into this trap. Often it is literally a trap – people add ‘spam trap’ email addresses to certain lists, and these trigger spam filters, which then put you on a blacklist! Once you’re on, it’s very tricky to get off again – so really, don’t risk it. Forcing people to get your emails is a bad enough strategy without this extra risk! Remember that there is simply no substitute for sending stuff to people that they actually want to read! Strategies like these will improve the process, but no amount of tricks and tools can force your audience to be interested in things that they don’t care about. Make sure that you’re conducting proper research into what your audience wants to hear about, that you’re giving subscribers plenty of chances to tell them for yourself – and that you’re listening. You won’t get far without this! The original article was posted on 27 February 2019 by EmailOut and can be found here. Email marketing is one of the most dependable and effective methods for developing a great relationship with potential customers and building a buzz around your brand, product or idea. But where on Earth do you start? Well… with our Beginner’s Guide To Email Marketing, of course! Ready to embark on your journey to email marketing mastery? Then let’s begin! We know, we know: you’re excited about building your email list. But you can’t cut corners here: you must only email people who have expressly agreed or asked for you to do so. You can do that with forms on gated content, with pop-ups on your website, with sponsored posts on Facebook or Instagram… however you like. The important thing is that you get permission. While you’re collecting data to email people, ask some smart questions that help you build a picture of that subscriber. Depending on what your business does, that could be their job title or sector, their age or gender, or their areas of interest. Now’s also a good time to ask how often they’d like to hear from you and what kinds of emails they’d like to receive from you. Next, figure out how often you’re going to contact people and what kind of things to include. While you may want to send ad-hoc emails now and again, for example, to announce a flash sale or limited offer, overall it’s much better to keep to a regular pattern that people come to expect and anticipate. Once you’ve established a pattern, stick to it! Now you’re ready to start sending people amazing stuff to brighten up their day! The exact nature of this depends, of course, on your other marketing, content creation and sales strategy efforts. For example, you might build your emails around weekly blog posts, your latest published videos, ebooks and whitepapers, top deals of the week, product lines updated monthly, or anything else. Whatever the purpose of the email is, the important thing is that you’re always thinking about how this benefits the customer. What makes them excited to open this? What makes them want to click through? Look at it through their eyes – don’t just focus on what you want out of the exchange! Unless you run complete, cohesive analytics on all your email campaigns, you’re kind of firing into the void. Opt for an email marketing platform that allows you to collect and analyze data easily. Track results carefully all along the chain to figure out what’s working and where you might be slipping up – and keep adapting, refining and trying out new ideas until you nail it! The key to a great email marketing campaign is remembering that your subscribers are being generous by allowing you to email them. They’ve kindly agreed to let you deposit emails in their inboxes – and it’s your job to be polite and respectful about that. That means emailing them when you say you’re going to. It means being considerate about what they might find useful – not just pushing sales on them, or wasting their time with stuff that’s of little value. It means keeping their details safe and respecting the contact preferences they set. Once you start to think about the process from their perspective, the rest will begin to fall into place! The original article was posted on February 20, 2019 by EmailOut and can be found here.